You have no idea how amazing this feels. Now I still don’t know if I passed yet, but it’s like a huge weight has been lifted off my shoulders. No more feeling guilty for not studying every spare second of everyday. Pure bliss I tell you. And more time for blogging again. I hope that makes you as happy as it makes me. I have missed this place, and you guys. Today it’s time to talk fitness. I hope you don’t mind the break from food. And if you do, don’t worry the recipes will be back soon! But I am a firm believer that total health is more than just what you eat, it is also about physical health and emotional health. So today we are focusing on the physical aspect of your health. Fitness has always been a very important part of my life. Growing up I tried almost every sport, but eventually gravitated to competitive swimming and basketball. For years these two sports dominated my life. Before school, after school, weekends – almost every spare moment was spent at the pool or on the court. My parents loved it because I was too busy to get into trouble. But after high school I made the decision to quit competitive sports and focus on my studies. But fitness and staying active has remained extremely important to me. Whether it be training and competing with the triathlon club, going to spin class, road biking, running outside, finding high intensity workouts to do at home, I make a concerted effort to keep fitness a priority. I not only feel better physically when I am working out regularly, but I rely on it for stress relief. I am one miserable girl if I can’t workout for more than a few days. But I know for many of you out there, fitness is a foreign concept. And the thought of starting an exercise routine is daunting. Especially if you are battling a chronic disease, working full time, raising a family etc etc. 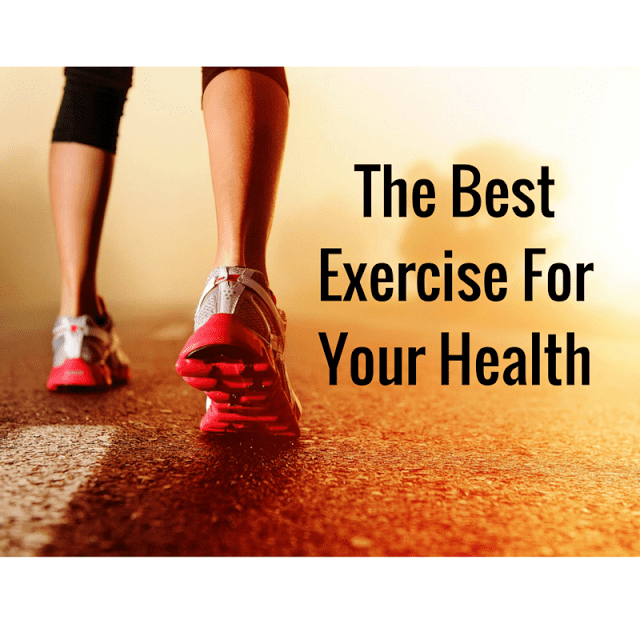 Now, many health experts out there will tell you you need to be doing a specific type of exercise for a specified amount of time each week. Most health organizations and medical guidelines say that adults should do 30-60 minutes of moderate intensity aerobic activity on most days of the week (could they be more vague?). But many paleo bloggers will tell you that crossfit is the way to go, and that focusing on aerobic activity is not ideal. Still, others will say that yoga or pilates are the best type of exercises because they focus on core strength and flexibility. It’s no wonder most of you are left totally confused and too overwhelmed to attempt any kind of physical activity at all. Well I am here to simplify things for you. Yep that’s my advice. There is a ton of evidence (I could post references if you like but the list would be never-ending) showing that any physical activity, even small amounts, is better than none at all. Most people, when first starting out cannot imagine finding an extra 30-60 minutes a day to fit in exercise (like our medical guidelines suggest). So they simply don’t do any. Well I am here to tell you that you don’t have to. Fifteen minutes is still better than no minutes. You see what I am getting at here? If you start off slow and set small goals that you are actually likely to achieve you will be able to feel good about reaching those goals and are more likely to continue, rather than quit. Especially if you are doing an activity that you like. My goal is to have my patients start (and continue) any type of activity that they see as the best fit for them. This way they are more likely to actually see the physical, emotional and mental health benefits that occurs with sticking to an exercise routine. Because sadly, study after study has shown that more than 50% of people will stop a physical fitness routine within 6 months of starting. Those are not good statistics. And that’s not what I want to see. I want to see you make physical activity something that you look forward to and enjoy. Not something that is a chore. Remember we are keeping it simple here folks. I am asking for baby steps. Not leaps and bounds. At least not initially. Remember, any activity is better than no activity. And while I realize that some of you reading this may be fitness enthusiasts and may find this advice completely ridiculous, but it is not you I am worried about. It is the 30-50% (the numbers vary depending on which study you read) of the population that isn’t doing any activity at all. Including most of the patients I see. These are the people I worry most about. And these are the people we need to focus on if we want to see changes on a population level. Ok so now that I have given you my advice I will give you some ideas of things you can try. No pressure here. Some of these are things I enjoy, and some are things I have never tried. Feel free to try as many (or few) as you like. And if you mix it up even better. 3. Playing a sport: tennis, soccer, baseball, basketball, badminton, volleyball etc. etc. Now you will notice that many of these activities require little to no equipment. Again, I want to keep things simple for you. Plus I realize that cost may be a barrier for many of you. Items like skipping ropes and frisbees cost almost nothing yet can have so many uses. I never want cost to be a barrier to starting a fitness routine. Never. No excuses here people. That being said I do recommend investing in a quality pair of running shoes or cross trainers. This is to help prevent injuries. And quality footwear is crucial for this. Alright everyone that’s it for today. I hope I have given you something to think about. And if you have any more suggestions for activities please let me know and I will add them to the list. As always I would be thrilled if you visited my social media pages where I share even more health information, deals and giveaways: Instagram, Facebook, Pinterest and Twitter.